Valparaíso (/ˌvælpəˈraɪzoʊ/, [balpaɾaˈiso]) is a major city, seaport, and educational center in the county or commune of Valparaíso, Chile. Greater Valparaíso is the second largest metropolitan area in the country. Valparaíso is located 111.8 kilometres (69.5 miles) northwest of Santiago and is one of the South Pacific's most important seaports. Valparaíso is the capital of Chile's third most populated administrative region and has been the headquarters for the Chilean National Congress since 1990.
Notable features include Latin America's oldest stock exchange, the continent's first volunteer fire department, Chile's first public library, and the oldest Spanish language newspaper in continuous publication in the world, El Mercurio de Valparaíso. The second half of the twentieth century was unfavorable to Valparaíso, as many wealthy families abandoned the city. The opening of the Panama Canal and reduction in ship traffic dealt a serious blow to Valparaíso’s port-based economy. However, over the past 15 years, the city has staged a recovery, attracting artists and cultural entrepreneurs who have set up in the city's hillside historic districts. 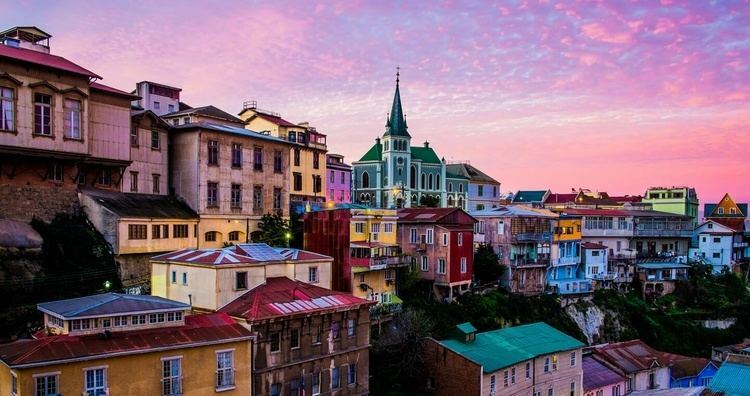 Today, many thousands of tourists visit Valparaíso from around the world to enjoy the city's labyrinth of cobbled alleys and colorful buildings. The port of Valparaíso continues to be a major distribution center for container traffic, copper, and fruit exports. Valparaíso also receives growing attention from cruise ships that visit during the South American summer. Most significantly, Valparaíso has transformed itself into a major educational center with four large traditional universities and several large vocational colleges. The city exemplifies Chilean culture, with festivals every year, and street artists and musicians. Valparaíso's bay was probably first populated by the Picunche natives, known for their agriculture, or the Chango people, who were nomads dedicated to fishing, and traveling between modern-day Caldera and Concepcion. Spanish explorers, considered the first European discoverers of Chile, arrived in 1536 aboard the Santiaguillo, a supply ship sent by Diego de Almagro. The Santiaguillo carried men and supplies for Almagro's expedition, under the command of Juan de Saavedra, who named the town after his native village of Valparaíso de Arriba in Cuenca, Spain. In 1814 the naval Battle of Valaparaiso was fought offshore of the town, between American and British ships involved in the War of 1812.
International immigration transformed the local culture from Spanish origins and Amerindian origins, in ways that included the construction of the first non-Catholic cemetery of Chile, The Cemetery of Dissidents. Football (soccer) was introduced to Chile by English immigrants; and the first private Catholic school in Chile (Le Collège des Sacrés Cœurs, “The College of the Sacred Hearts”), French immigrants in Valparaíso; which has been operating for about 170 years. Immigrants from Scotland and Germany founded the first private secular schools, (The Mackay School, and Die Deutsche Schule, respectively). Immigrants formed the first volunteer fire-fighting units (still a volunteer activity in Chile). Their buildings reflected a variety of European styles, making Valparaíso more varied than some other Chilean cities. On March 28, 1814, the USS Essex is defeated by British frigates Phoebe and Cherub during the War of 1812, leading to the deaths of 58 US Marines. (Captain David Porter, a survivor of this attack, would retire to Portersville, IN and request changing the name to Valparaíso, commemorating the only naval battle he ever lost.) By August 2, 1820, the Liberating Expedition of Peru sails from Valparaíso. The same year, electric trams were introduced. Damage was valued at hundreds of millions of pesos of the time, and human victims were counted at 3,000 dead and over 20,000 injured. After the removal of the debris, reconstruction work began. This included the widening of streets, culverting and covering streams, (Jaime and Delicias – creating the current avenues Francia and Argentina respectively). The main street of the city (Pedro Montt) was laid and Plaza O'Higgins was created; a hill was removed to allow the passage of Colon Street. The damaged Edwards mansion was demolished and in its place the present Cathedral of Valparaíso was built and, among many other works, this gave shape to the current Almendral Valparaíso area. In November 1915, Augusto Pinochet was born in the city. Valparaíso has a very mild Mediterranean climate (Köppen Csb) closely resembling that of San Francisco or Santa Barbara at a similar latitude in the northern hemisphere. The summer is essentially dry, but the city is affected by fogs from the Humboldt Current during most of the year. In the winter, rainfall can occasionally be extremely heavy when a powerful frontal system crosses central Chile, but frequency of such rains varies greatly from year to year. Snowfall occurs rarely in the highest parts of the city. In winter, strong winds can make the thermal sensation drop below the freezing. Nicknamed "The Jewel of the Pacific", Valparaíso was declared a world heritage site based upon its improvised urban design and unique architecture. In 1996, the World Monuments Fund declared Valparaíso's unusual system of funicular lifts (steeply inclined carriages) one of the world's 100 most endangered historical treasures. In 1998, grassroots activists convinced the Chilean government and local authorities to apply for UNESCO world heritage status for Valparaíso. Valparaíso was declared a World Heritage Site in 2003. Built upon dozens of steep hillsides overlooking the Pacific Ocean, Valparaíso has a labyrinth of streets and cobblestone alleyways, embodying a rich architectural and cultural legacy. Valparaíso is protected as a UNESCO World Heritage Site. 16 remaining funiculars (called ascensores): 15 public (national monuments) and 1 private (which belongs to "Hospital Carlos Van Buren"). The Bellavista hill, which has the "Museo a Cielo Abierto" or "open sky museum"
Although technically only Chile's 6th largest city, with an urban area population of 263,499 (275,982 in municipality), the Greater Valparaíso metropolitan area, including the neighbouring cities of Viña del Mar, Concón, Quilpué and Villa Alemana, is the second largest in the country (803,683 inhabitants). According to the 2002 census of the National Statistics Institute, the commune of Valparaíso spans an area of 401.6 km2 (155 sq mi) and has 275,982 inhabitants (135,217 men and 140,765 women). Of these, 275,141 (99.7%) lived in urban areas and 841 (0.3%) in rural areas. The population fell by 2.4% (6858 persons) between the 1992 and 2002 censuses. Residents of Valparaíso are commonly called porteños (feminine: porteñas). Within the electoral divisions of Chile, Valparaíso is represented in the Chamber of Deputies by Joaquín Godoy (RN) and Mr. Aldo Cornejo (PDC) as part of the 13th electoral district, (together with Juan Fernández and Isla de Pascua). The commune is represented in the Senate by Francisco Chahuán Chahuán (RN) and Ricardo Lagos Weber (PPD) as part of the 6th senatorial constituency (Valparaíso-Coast). A rapid transit light rail system, the Valparaíso Metro, opened to the public on 24 November 2005. The creation of this system involved updating parts of the direct railway line, originally built in 1863, that once linked Santiago and Valparaíso, and the cities in between. The Valparaíso Metro now connects the city core of Valparaíso with Viña del Mar and other cities. The Metro constitutes the so-called "fourth stage" ("Cuarta Etapa") of Metropolitan improvements. The metro railway extends along most of Gran Valparaíso, and is the second subway system in operation in Chile (after Santiago's), as it includes an underground section that crosses Viña del Mar's commercial district. Public transport within Valparaíso itself is provided primarily by buses, trolleybuses and funiculars. The buses provide an efficient and regular service to and from the city centre and the numerous hills where most people live, as well as to neighbouring towns while more distant towns are served by long-distance coaches. Buses are operated by several private companies and regulated by the Regional Ministry of Transport, which controls fares and routes. The Valparaíso trolleybus system has been in operation since 1952, and in 2017 it continues to use some of its original vehicles, built in 1952 by the Pullman-Standard Company, along with an assortment of other vehicles acquired later. Some of Valparaíso's Pullman trolleybuses are even older, built in 1946–48, having been acquired secondhand from Santiago in the 1970s. The surviving Pullman trolleybuses are the oldest trolleybuses still in normal service anywhere in the world, and they were collectively declared National Historic Monuments by the Chilean government in 2003. Valparaíso's road infrastructure has been undergoing substantial improvement, particularly with the completion of the "Curauma — Placilla — La Pólvora" freeway bypass, which will allow trucks to go directly to the port facility over a modern highway and through tunnels, without driving through the historic and already congested down-town streets. In addition, roads to link Valparaíso to San Antonio, Chile's second largest port, and the coastal towns in between (Laguna Verde, Quintay, Algarrobo, and Isla Negra, for example), are also under various degrees of completion. Travel between Valparaíso and Santiago currently takes about 80 minutes via a modern toll highway. Internal passenger air services to Valparaíso are provided through the airport at Quintero which is some distance from the city but now served by good roads. The great majority of foreign visitors arrive through Santiago or on cruise liners. Because the slopes of the hills, many of the surrounding areas of Valparaíso are inaccessible by public transport. That is why "elevators" serve the function of communicating the high part of the city with the plan, besides being strong holiday highlight. The only elevator that can truly be called as such, is the Ascensor Polanco, because it is vertical. Meanwhile, the rest are cable cars but traditionally called elevators. Several of those funiculars – locally called ascensores – provide public transport service between the central area and the lower slopes of the surrounding hills, the first of which (Ascensor Concepción, also known as Ascensor Turri) opened in 1883 and is, operated by steam, still in service. 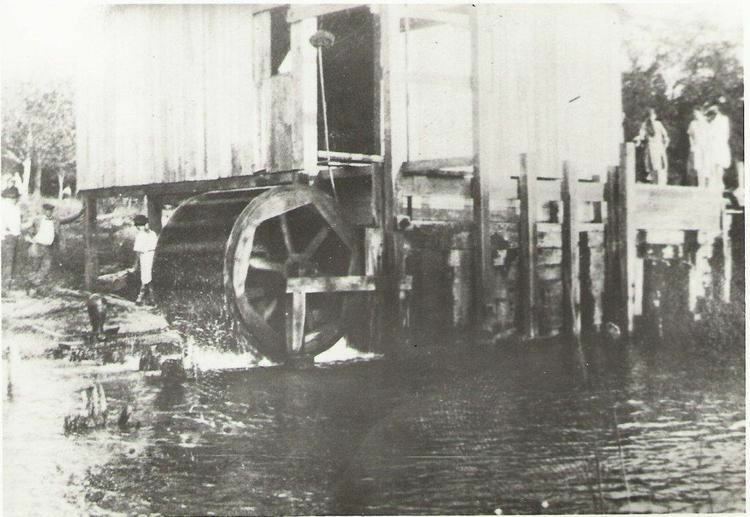 The Cerro Cordillera elevator was built in 1887. As many as 28 different funicular railways have served Valparaíso at one time or another, of which 14 were still in operation in 1992 and still around 12 in 2010. Valparaíso has currently fifteen lifts declared Historical Monuments by the National Monuments Council. Five are municipal property and the remaining belong to four private companies. The elevators are elevators municipal Baron (detained for work), El Peral, Polanco, Queen Victoria and St. Augustine (arrested for jobs). As for the rest, lifts Florida, Butterflies and Nuns are owned by the National Elevator Company SA; Artillery, Concepción and Mountains belong to the Society of Mechanical Lifts Valparaíso Holy Spirit, Larraín and Villaseca (stopped for repairs) are the property of Valparaíso Elevators Company SA, and Dairy (stopped by fire) belongs to the Society of Dairy Cerro Lifts Ltd.
During Valparaíso's golden age (1848–1914), the city received large numbers of immigrants, primarily from Europe. The immigrant communities left a unique imprint on the city's noteworthy architecture. Each community built its own churches and schools, while many also founded other noteworthy cultural and economic institutions. The largest immigrant communities came from Britain, Germany, and Italy, each developing their own hillside neighbourhood, preserved today as National Historic Districts or "Zonas Típicas." During the second half of the 20th century, Valparaíso experienced a great decline, as wealthy families de-gentrified the historic quarter, moving to bustling Santiago or nearby Viña del Mar. By the early 1990s, much of the city's unique heritage had been lost and many Chileans had given up on the city. But in the mid-1990s, a grass roots preservation movement blossomed in Valparaíso where nowadays also a vast number of murals created by graffiti artists can be viewed on the streets, alleyways and stairways. The Fundación Valparaíso (Valparaíso Foundation), founded by the North American poet Todd Temkin, has executed major neighborhood redevelopment projects; has improved the city's tourist infrastructure; and administers the city's jazz, ethnic music, and opera festivals; among other projects. Some noteworthy foundation projects include the World Heritage Trail, Opera by the Sea, and Chile's "Cultural Capital". During recent years, Mr. Temkin has used his influential Sunday column in El Mercurio de Valparaíso to advocate for many major policy issues, such as the creation of a "Ley Valparaíso" (Valparaíso Law) in the Chilean Congress, and the possibility that the Chilean government must guarantee funding for the preservation of Valparaíso's beloved funicular elevators. Valparaíso's newspaper, El Mercurio de Valparaíso is the oldest Spanish-language newspaper in circulation in the world. The Fundacion LUKAS maintains the drawings and paintings of the cartoonist Renzo Antonio Giovanni Pecchenino Raggi (stage name LUKAS), who came to symbolize Valparaíso in popular culture, in a new restored building overlooking the bay. Valparaíso is also home to the so-called "School of Valparaíso", which is in fact the Faculty of Architecture & Urbanism of the Pontificia Universidad Católica de Valparaíso. The "School of Valparaíso" was in the 1960s and 1970s one of the most experimental, avant garde and controversial Architectural schools in the country. Valparaíso stages a major festival attended by hundreds of thousands of participants on the last three days of every year. The festival culminates with a "New Year's by the Sea" fireworks show, the biggest in all of Latin America, attended by a million tourists who fill the coastline and hillsides with a view of the bay. Even though everyone calls it the Valparaíso Fireworks, it is in fact a fireworks display running along a great part of the coast from Valparaíso, past Viña del Mar and all the way to Concón. 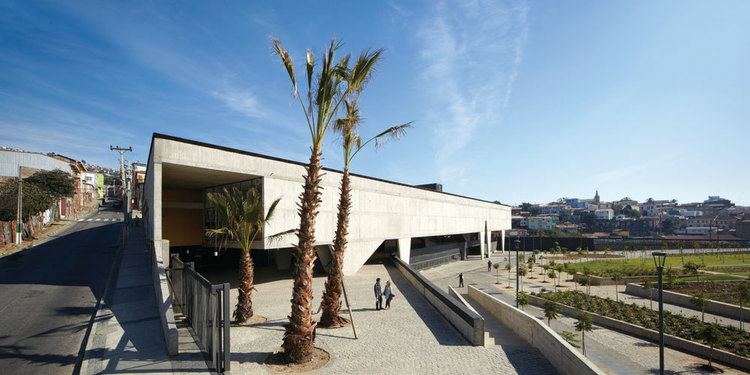 The Chilean Congress meets in a modern building in the Almendral section of Valparaíso, after relocation from Santiago during the last years of the dictatorship of General Augusto Pinochet. Although congressional activities were to be legally moved by a ruling in 1987, the newly built site only began to function as the seat of Congress during the government of Patricio Aylwin in 1990. In 2003, the Chilean Congress declared Valparaíso to be "Chile's Cultural Capital" and home for the nation's new cultural ministry. Valparaíso offers various urban nightlife activities. Traditional bars and nightclubs can be found near Plaza Sotomayor. A vivid guide to Valparaíso can be found in the novels of Cayetano Brule, the private detective who lives in a Victorian house in the picturesque Paseo Gervasoni in Cerro Concepción. The public healthcare system mainly relies on the Hospital Carlos Van Buren located at the plan and Hospital Valparaíso (officially Hospital Eduardo Pereira) located at St. Roque Hill. There are also several clinics like Universidad de Chile's Clinica Barón, Hospital Aleman (due to close), and the former Naval Hospital on Playa Ancha Hill. Valparaíso has several public sports venues and facilities, including a growing network of cycle routes. The Club Deportivo Playa Ancha (Playa Ancha Sports Club), located in Av. Playa Ancha 451, Cerro Playa Ancha, opened in 1919 and offers football pitches, table football, basketball and tennis courts, two swimming pools and a small gym. Tennis and swimming lessons are held in the club as well as local tournaments, and the pool can be used recreationally in summer. The Complejo Deportivo Escuela Naval (Naval School Sports Centre), located at General Hontaneda, Cerro Playa Ancha, offers Olympic-standard modern facilities with a heated swimming pool and indoor volleyball, basketball, gymnastics, judo and fencing areas. It also has extensive outdoor sports facilities, suitable for rugby, football and tennis. The Estadio Elías Figueroa Brander (formerly Chiledeportes Regional Stadium) is located at the junction of Hontaneda and Subida Carvallo, Cerro Playa Ancha, This stadium has historic links to the local football team, Santiago Wanderers, the oldest professional football team in Chile founded on August 15, 1892. Built in 1931, it holds 18,500 people and also serves as an athletics and swimming venue. Fortín Prat (Fort Prat), located at Rawson 382, Almendral, is a historic basketball venue, hosting the "golden age" of Valparaíso basketball from 1950 to 1970. Fort Prat has also hosted numerous local handball, table tennis and boxing championships. It offers children's classes and a gym, and is also home to the Valparaíso Basketball Association Museum. The Muelle Deportivo Curauma is located 20 minutes from Valparaíso in Lake Pañuelas at Avenue Borde Laguna and Curauma. The calm waters of the 195 km2 lagoon permits rowing, kayaking, fishing and boating. It has also been chosen as a venue for the 2014 South American Games. Around the lagoon are camping sites, cycle and hiking trails, and paintball and canopy facilities. The Puerto Deportivo Valparaíso, located at Muelle Barón, Bordemar Centro, is a watersports centre which offers sailing, kayaking and scuba diving lessons and hosts the "Valpo Sub" program that seeks to preserve the area's underwater heritage, offering educational tours and expeditions to shipwrecks along the bay. 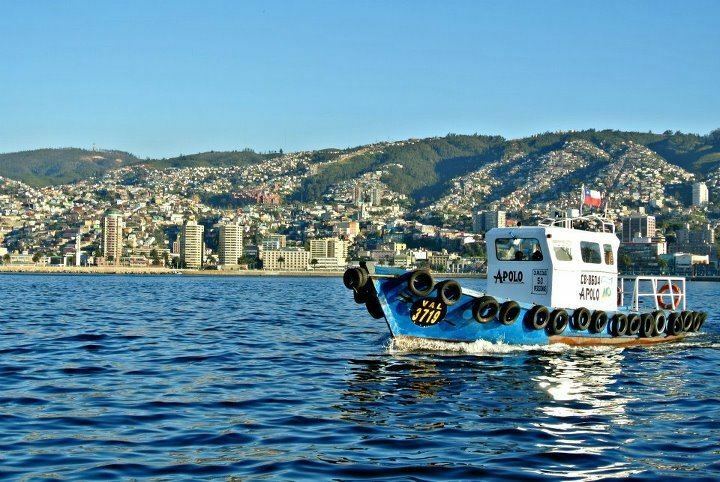 Puerto Deportivo Valparaíso also carries out programs promoting ecotourism in Valparaíso Bay, and rents equipment for people having lessons. It features an interactive room that shows information on the underwater heritage. The Velódromo Roberto Parra is located opposite the Club Deportivo Playa Ancha and is part of its wider complex. The velodrome contains a cycle track, table football, and handball and basketball courts. All its facilities are available for public rent. The "Valparaíso Downhill" is a mountain bike race that takes place in February. Riders race through the city streets tackling the steps and alleys, finding their own way through the ramps and jumps down to the "plan" (Valparaíso's "lowlands"). The Valparaíso Downhill has been described by Chop MTB as "the craziest urban downhill race of all". Since 2005, a series of running events has taken place in the city with 5 km, 10 km, 21 km and marathon distances. The race starts at Muelle Barón and the course runs along the seafront, crossing diverse architectural and geographical landmarks. The final stage of the 2014 Dakar Rally ended up at Valparaíso's Plaza Sotomayor in the heart of the old town, surrounded by historic buildings. Ignacio Casale, the Chilean winner of the 2014 Quad category, was cheered here in the streets by the Valparaíso crowd. At primary school level, Valparaíso boasts some of the most emblematic schools in the region, such as the Liceo Eduardo de la Barra and Salesian College Valparaíso. The latter has or the marching band and instrumental oldest and largest Chile founded in 1896. Other landmarks of the city schools are the Mary Help of Christians School, San Rafael Seminary, the Lycée Jean d'Alembert, Colegio San Pedro Nolasco, Scuola Italiana Arturo Dell' Oro and Deutsche Schule Valparaíso, among others. Many of the schools named in the plan is located in the city, concentrated in the Almendral neighborhood. In addition, Valparaíso was the birthplace of many private schools founded by the European colonies, as the German School, the Alliance Francaise, Mackay College (now located in the neighboring resort of Viña del Mar) and the College of the Sacred Hearts of Valparaíso, that operating since 1837 is the oldest private school in South America. Valparaíso is characterized by being a university town, due to the extensive amount of existing higher education institutions in the city. In the city sets some of the most important universities of Chile, called «traditional universities», as the Pontifical Catholic University of Valparaíso, the University of Valparaíso, the University of Playa Ancha and the Technical University Federico Santa Maria. The latter university is visible from much of the city, as it is located on the front of Cerro Placeres, and has a characteristic building Tudor Gothic and Renaissance. The city has many colleges nontraditional varying size, quality and focus. John Christian Watson, Australia's third Prime Minister. It has also been the residence of many artists, such as Chilean poet Pablo Neruda and Nicaraguan poet Rubén Darío. Puerto Rican pro-independence leader Segundo Ruiz Belvis died in the city in November 1867.